A dental veneer is a procedure that is done to make your smile perfect in the least invasive way possible. Some patients like this approach because it does not involve as much drilling and would be more suitable for lower anxiety patients. If you have a smile that is tarnished by stains and worn enamel on your front teeth then you might want to try dental veneers to perfect your smile. It is for a smile that is almost perfect but not quite. Sometimes with wear and tear we can have situations where we need to freshen up our smile. A person can take care of their smile for years and years, but with old age the smile can degenerate. Let us take care of your smile while at the same time offering same day treatment. Enamel Wear and Tear: Enamel is the hard casing that covers the outside of your teeth. It give the tooth its outer shell. This shell is a hard and sturdy shell, but over time this shell can degenerate and become more brittle and weak with time. This time tested process can also cause the teeth in your smile to become discolored, yellowed, or dulled. This is a completely natural process, but it can cause visual issues with your smile. A discoloration in a smile can cause social anxiety as well as missed job opportunities. Don't hesitate to take control of your smile. Call now: 919-813-6341. Genetics: Your tooth coloration genetics can cause you to need an alteration in your smile. There are certain diseases and genetic variations within a human population that could lead to tooth discoloration and thus an imperfect smile. Sometimes these could be stains that cannot be removed and thus the dental veneer is performed. Drugs: Certain drugs such as tetracycline given to younger children can cause tooth discoloration. 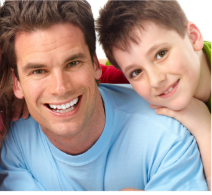 Our staff has experience making dental veneers for decades. We have a fully stocked laboratory with staff that are adept at using the best materials to make the best smile. We are dedicated to making your teeth whiter and brighter with our state of the art perfected dental veneers. If you need to get rid of stains on your teeth and teeth whitening therapies are not working then contact us now at our 24 hour toll free hotline. 919-813-6341.